March 2017 – Midnight Madness. Hey guys, and gals I am back. I’ve been so busy with school, placement and family. Just wanted to leave a little blurb, as I reflect on the week. You used to build me up, the only person I could count on. I thought forever you were the one that dragged me out of the darkness, all along it was me. Now that I’ve gotten my own flashlight and know how to navigate better then anyone. Now that I am stronger then ever, I’ve noticed maybe I was saving you the whole time. You drag me down, beat me up and take me for granted these days… it’s my fault as I realize I’ve let you do this the whole time. Time, passes and I don’t know how long this will last. I am stronger and more confident then ever, I know this will kill you.. murder, but I can’t watch my heart bleed. The only thing keeping me around is love, I love you.. sadly I don’t like you anymore. You’ve changed or maybe I was just to blind to see it before. You looked like superman in cape, you were just a villain looking for an escape. Maybe I should have looked deeper then your face. You never do know the battles people are fighting, what was said to them by others or even by themselves leaving the house, what side of the bed did they wake up on…. 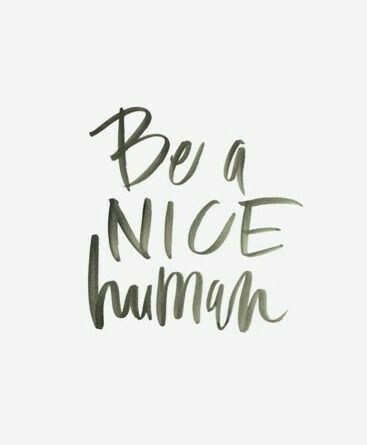 We need to start being nice to people. Remember the saying “don’t have anything nice to say, don’t say anything at all”. Stop talking our bad days, bad moments, bottled up anger out on everyone else. Some people just need a little sunshine with their rain. Say hello, give a wave. Doesn’t hurt to smile at people even if they growl, smiles are intoxicating.